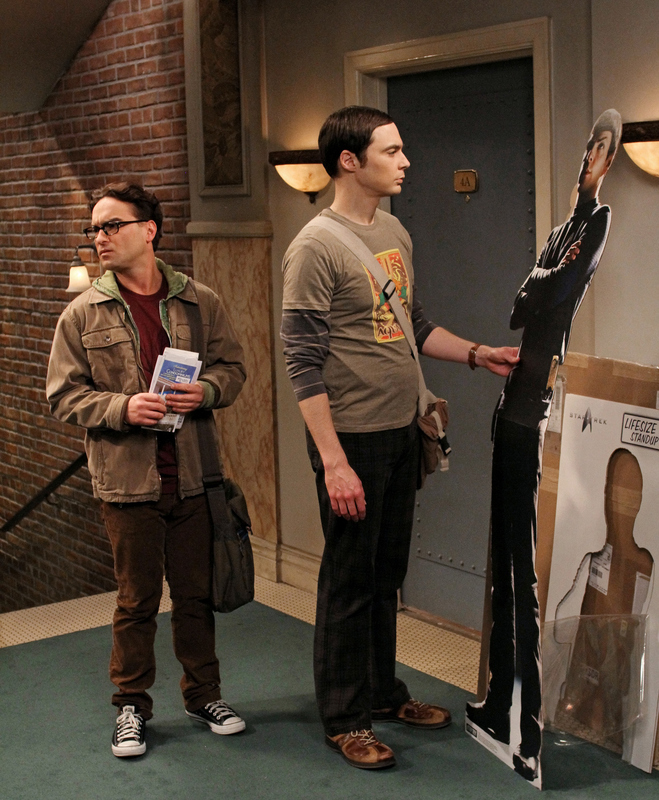 Winning Caption: "Spock, you're missing a dimension..."
Sheldon (Jim Parsons, right) ponders how everything might change when Leonard (Johnny Galecki, left) offers Penny a spur of the moment invitation to a romantic dinner for two, on the 100th episode of THE BIG BANG THEORY. Photo: Robert Voets/Warner Bros. ©2012 Warner Bros. Television. All Rights Reserved. Winning caption by: Joshua L.